Vox Big Bad Wah | WhatsTheScene? 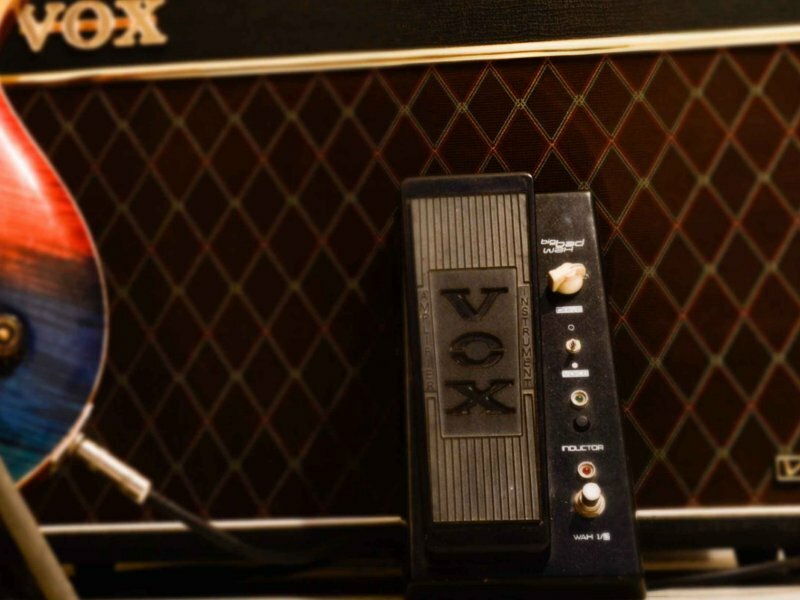 The Vox Big Bad Wah is virtuoso guitarist, Joe Satriani’s, signature wah-wah pedal. It is probably the most unique mass produce wah-wah pedal on the market. Satriani’s tone is massively influenced by Jimi Hendrix, hence the excessive wah-wah use with songs like ‘The Summer Song’ highlighting his signature tone. The Big Bad Wah is the most feature rich pedal on the market with two different wah-wah voicings: a 6db gain boost and an inductor which helps switching between British and American inductor voicings. The Wah 1 setting provides us with the classic crybaby voicing which is ideal for unleashing the inner Hendrix. It has a very balanced sweep and is never muddy. The Wah 2 voicing is Satriani’s signature Wah-Wah sound, which a bit â€œgain-ierâ€œ and has more depth. The Wah 2 has also been optimized for a more high gain sound ideal for modern rock tunes. Additionally, the Wah 2 mode also works very well on clean settings as it can give a clean sound the wah-quake, without sounding overly flashy, but rather can be a very subtle effect for small clean passages that have some delay on them. The addition of the 6db gain boost literally gives your amplifier an additional channel and is best used under heavy gain territories. And the inductor choices add another dimension to the wah-wah sound giving it a total of 4 different voicings. Besides the plethora of sonic options, the Big Bad Wah really works well with pedals. In fact, it can handle loads of pedals together and one will not hear a lot of deterioration in the quality of sound even with sixteen pedals paired together, including flangers, delays, overdrive pedals like the Ibanez TubeScreamer, the TC Electronics Nova System and Satch’s Satchurator distortion box. With the myriad options, this is a kickass wah-wah pedal but it does not come cheap with it being priced at $220. Yet, it remains an awesome pedal.Â If one combines this pedal along with the signature Satriani distortion pedal, The Saturator, you will be in tone heaven, exactly the way Joe designed it to work. Sahil, the byline may read, but they call him ‘Bones’ because of his undying love for Star Trek. Sahil is a crazy tech journalist at BGR.in, who also happens to be a blues guitarist and a sound engineer based out of Delhi. Oh, and he also has 14 dogs!